What Is Form 1120S, and How Do You File It? Form 1120S is the tax form S corporations use to file their federal income tax return (not to be confused with Form 1120 for C corporations). Every S corp needs to file one, including LLCs that are taxed as S corps. 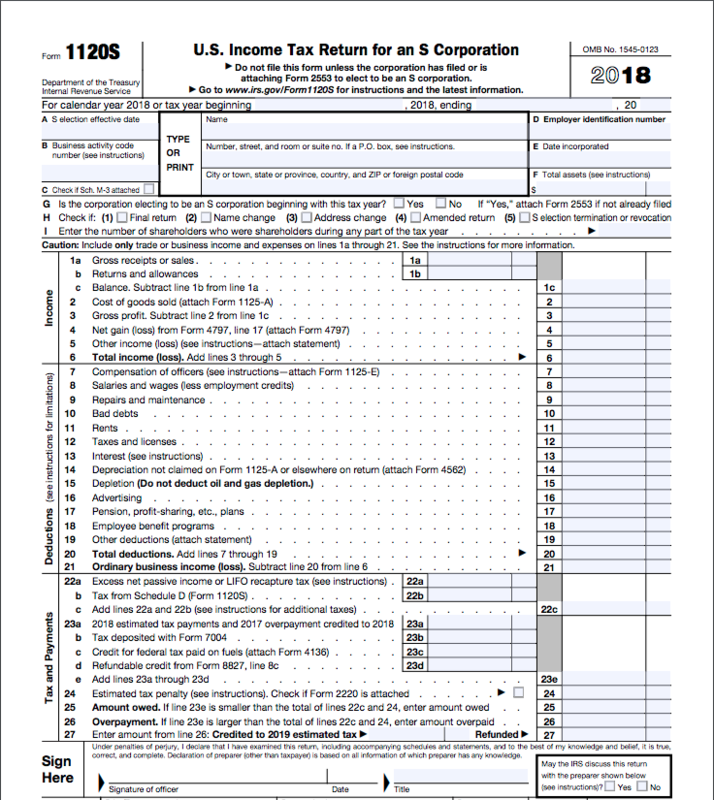 You can download Form 1120S directly from the IRS website. Or if you use tax software, you can find it there too. The date you elected S corp status: This will be January 1 if your business operates on a calendar-year basis. It will be on the first day of your fiscal year if you operate on a fiscal-year basis. A profit and loss statement and a balance sheet: You can create these manually or if you use Bench, we’ll create them for you. Your accounting method: You’ll indicate on the form whether you use cash or accrual accounting. Independent contract payments: Any payments to independent contractors totaling at least $600 for the year will need to be reported on the form. You also must provide contractors with 1099 forms. Get organized and skip the stress. This tax checklist tells you everything you need to file on time—customized for your business. Form 1120S is complicated. There are multiple Schedules that you may have to fill out, depending on your situation. Our recommendation: take all the documents listed above, and ask an accountant to help you file Form 1120S. Those source documents will give you everything you need, but a tax pro will convert them into the type of information the IRS is looking for on Form 1120S. The deadline for filing Form 1120S is March 15, 2019, unless you’ve applied for an extension. You can file the form electronically or mail it into the IRS.